Pixel Battery Saver promises to save a little power by shutting off pixels in a grid pattern on AMOLED displays. For a long time, that's what it did for thousands of users, but now it has been sold to a third party. Pixel Battery Saver was updated as "Complete Virus Protection" yesterday evening before being pulled from the store. It's back now, but this is still just a huge mess. 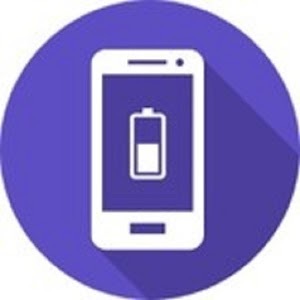 The original developer of Pixel Battery Saver, Poveu (disp on XDA) posted in XDA's monetization board about his decision to sell the app last month. Apparently his inability to sell content in Google Play from his home country prompted the move. A link to SellTheApps asked $699 for the app, or just $299 for the source code. The page listed 50,000 active users. Whoever bought the app is either clueless or an outright scam artist (developer now listed as "Internet security free antivirus and speed booster"). Yesterday's update changed the name as mentioned above, and may have made other changes as well. Of course, people complained that their battery saving service became a sketchy antivirus client, and the app was pulled. Now it's back using the old name with a new line in the description reading, "Soon Releasing Ver37 update of the Pixel Battery Saver with the new buit [sic] in Antivirus feature to automatically scan all new app / game installs to keep your mobile phone free of viruses." Sure, slap an antivirus client on it, why not? If you have this installed, you should probably get rid of it. I wouldn't be surprised to see Google step in at some point, but I don't think the app is breaking any rules at this exact moment. It's not clear what the new developer is doing, but it's probably not something you want to be involved in.